With NAB just around the corner, prices are starting to get cut and deals can be had. B&H, for instance is cutting the price on the Canon Cinema EOS C300 and several accessories by as much as 40%. 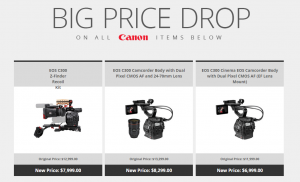 They’re also offering up to $1000 off the C100 and up to $6,000 on Cinema prime lenses. And it makes me wonder what they know that we don’t when it comes to new Canon cameras. 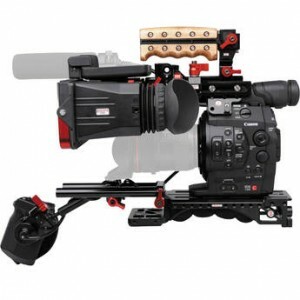 Canon EOS C300 Z-Finder Recoil Kit … including a Canon C300, and a Zacuto Z-Finder Recoil Kit with camera shoulder rig, rail assembly and camera mount and electronic viewfinder. Cost of the whole set is regularly $13,000. B&H has it for just a hair under $8k. This is likely the first generation Z-Finder, but that’s still a pretty good deal. 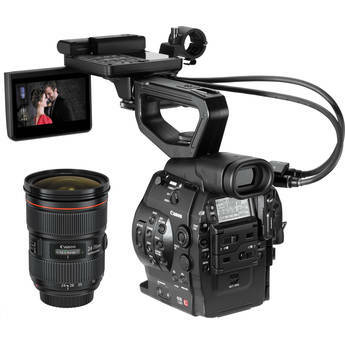 Canon EOS C300 with Dual Pixel CMOS AF and 24-50mm lens. Together, MSRP is $13,299, B&H has it on sale for $8,299. Canon EOS C300 Camcorder body, EF Lens Mount. They have two of these listed for $6499-$6,999 respectively. Now I’m starting to wonder if these are refurbished or rentals. Lastly, a PL mount EOS C300 Camcorder body. Price $6,999. Canon EOS C100 Camera Body only, EF Mount. $2999 (regularly $3,999). There’s also a Body for $3,499. No explanation on the price difference of what comes with them. B&H also has a cache of Canon Cinema Prime lenses on sale for up to $6,000 off. MSRP. All orders come with free expedited shipping, with orders shipped same day if made by 4:00pm ET. Users who order in New York City can pick up from the B&H Store within the hour. But it’s important to remember that starting tomorrow, B&H will be closed through April 11th to celebrate Passover and will reopen at 10am on Sunday, April 12th. Online orders will be unavailable from April 3 at 7:15pm EDT through April 5 at 8:45pm EDT, and from April 9 at 7:15pm EDT, through April 11 at 8:45pm EDT. 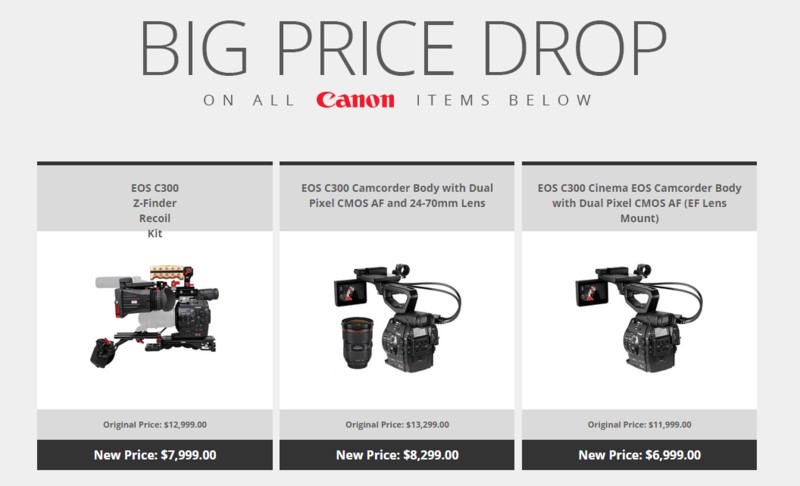 For more information, and to check out those Canon deals up close, visit bhphoto.com.